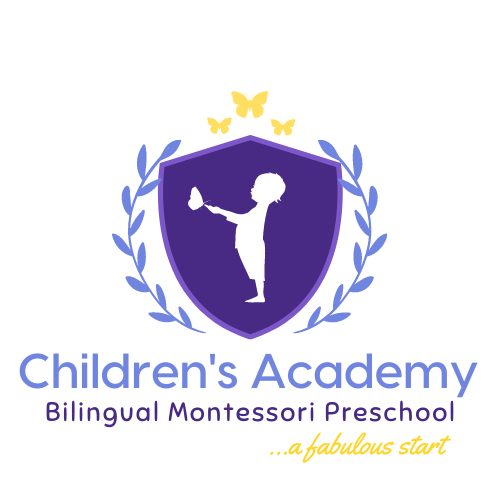 We are a private Kindergarten, using the Montessori educational approach, and we teach in both German and English concentrating on the development and extension of both languages. We provide a stimulating environment created to meet the developmental needs of your child. We achieve this by providing high quality materials of largely natural material that will encourage curiosity, play and learning as well as offering weekly excursions (in addition to a gym visit each week) including the library and theatres and place an emphasis on arts, crafts, music and physical education. We consider learning through song, music and play an important part of child development and are constantly coming up with new ways to incorporate these elements into our daily kindergarten life. We prepare home cooked healthy, nutritious meals on a daily basis. The children are active participants in both the preparation of meals and also discussions of where food comes from and why eating healthy is important. We acknowledge that small group sizes are preferable due to the fact that small children can only relate to and form relationships with a small number of individuals. Therefore we restrict group sizes to a maximum of 14 children per group. The nursery group is for 1.5 to 3.5 year-olds and the pre-school group is for 3.5 to 6-year-olds. Each group is taught by two teachers, one speaking English and the other German. All teachers are fluent in both languages. We are run under the expertise of an experienced AMI Director who is passionate and knowledgable about child development. The director is supported by qualified, caring and dedicated teachers and assistants whose talents complement each other to create an environment rich in art, science, culture, sport and play.